I recently spoke at the Society for Women Engineers’ annual conference. Engineering is extremely male-dominated (only 18 – 20 % of engineering students are women). But being at this conference — surrounded by 12,000 other female engineers — was empowering. 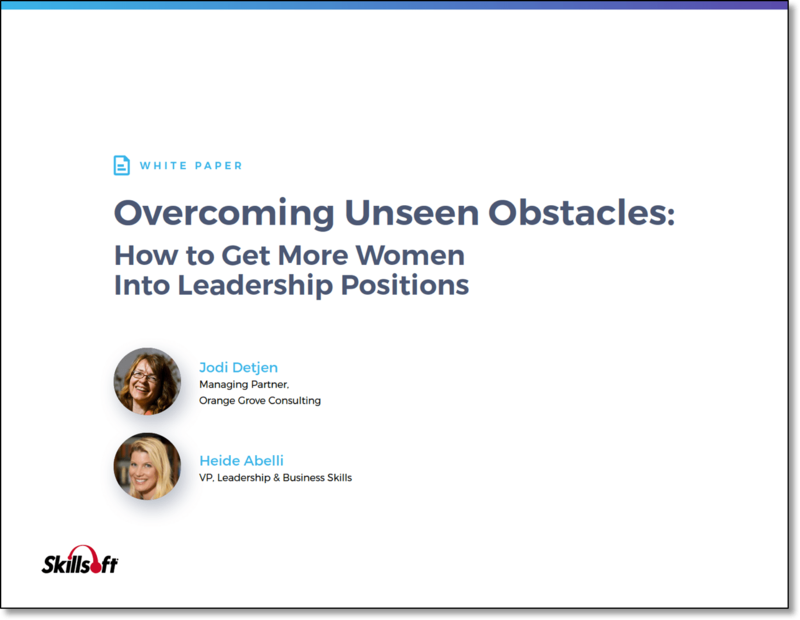 For the first time in their careers, many women experienced connectedness rather than the feeling of separateness. Here’s the deal simply put: Navigating male-dominated workplaces is hard. Women are at a disadvantage in male-dominated workplaces, given that social capital drives career success. So when we train women on leadership skills to help them navigate that, it’s refreshing. They can finally be honest and share their experiences. We hear stories of resilience, of bias against women, of struggle and of hope. We connect these women with the tools to help them navigate, succeed and support each other. In the process, they realize that they are not alone — that there are others that can help them. The process gives them strength. Research clues us in here: It doesn’t take much for women to be shutdown. The socialized communication processes means that men are socialized to interrupt women. We’ve conducted sessions when there are 3 men and over 20 women in the room, yet the men still dominate the Q&A session. Women have been taught to be quiet. It’s not safe for women to speak up. Women-only learning environments counter this. Studies show that it makes a difference. Women build their confidence to speak up, learn how to counter interruption and realize the value they bring to the table. We know that socialized ways of leading that are “feminine,” such as collaboration, can “disappear” in the status quo of “masculine” competitive leadership values. Women’s leadership training opens up the dialogue to discuss the value that “feminine” traits have. It highlights how these skills are underrecognized and helps women learn how to illustrate their value in the workplace. Women-focused training creates a safe environment to learn the ways that women may have internalized socialized assumptions. This is more difficult in mixed gender environments. Typical workplace cultures favor socialized masculine traits against which women constantly compare themselves. Without the presence of men, women are able to speak openly, experiment and skill-build in a new context. They gain confidence and self-perception as leaders on their own terms. We’ve also found that women-only leadership training creates a safe place for transgender women. Transgender women are given the opportunity to safely explore their experiences in a supportive environment. It makes a difference. Women have shared how much this type of training has transformed them, helping them see their challenges in a new light and showing them that they bring value even when a biased lens makes them feel otherwise. Women-only training is ultimately a building block, not the end or only game. It’s fundamental in how we learn to work together — a first step in the process to give everyone the tools to make more inclusive workplaces. If you’re looking to solve the issue of gender bias in the workplace, check out our women in leadership training. This training helps women build foundational leadership skills for long-term success. Contact Us to learn more.